Ladakh motorcycle tour takes you to the high Himalayan ranges! Stress and no-masti time together makes a person boring he/she dares to do something individually or in a group that allow them to explore the popular adventure destination in India or also named as “Biker’s paradise”. As the snow start melting, the roads in between the Himalayas will start bustling with the echo of dug.. dug.. dug.. dug.. dug… At the same time, Stonehead Bikes ensure to arrange a lavish journey to Ladakh via bike hire in Leh. 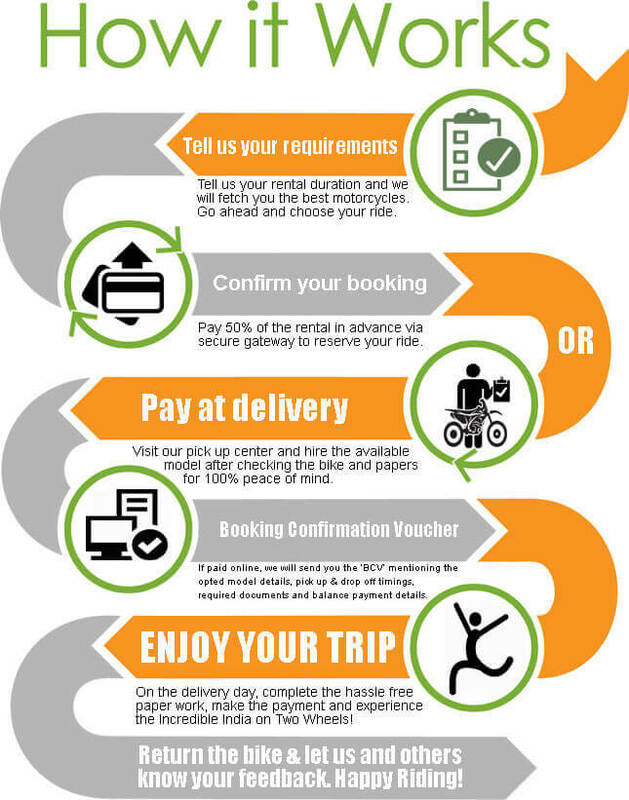 Each year people wish Leh Ladakh Bike Trip but don’t have own bike so we come up front with pocket-friendly rental services. Planning a Ladakh motorcycle tour just brings you close to nature and engages a mind with easygoing thoughts. To make your trip more pleasant and happening bike on rent in Leh is the perfect solution. Well, Leh-Ladakh is number 1 recommendations for traveler enthusiast. The utmost feeling of joy while traveling to new destination can only be explore enormously via two–wheeler. The picturesque view and adventure is the only reason that compels travelers to add bucket list. Leh-Ladakh is centre of attraction for almost every fun-loving traveler and they eagerly wait for opening of Manali-Leh highway or Srinagar-Leh Highway. Adventure and scenery view are the most important concept of a journey as it connects the trekker with nature. While, connecting with natural environment means you need to explore the calm breeze, roads, green mountains, trees and plants and obviously that is only possible when you are travelling via bullet on rent in Leh. The two-wheeler makes your trip more interesting and pleasurable especially when you are with group of friends or partner. Leh bike rental services especially at Leh-Ladakh might sound pester but you can trust StoneHead Bikes as we guides you properly. Might be you are having questions in your mind related to where to rent a bike in Leh and documents required for the same. Definitely, from Stonehead Bikes as we are the authorized party of tourism industry and Ladakh motorcycle tour is pleasurable with us. As a document you only need a photocopy of your valid driving license.